Fr. Tad Pacholczyk, the Director of Education at the National Catholic Bioethics Center will host a special program explaining the problems with in-vitro fertilization on CatholicTV. The special episode will be called “Test Tube Babies”. This special episode will air during a weekly CatholicTV programming block called “Body Matters”, which focuses on Catholic morality. 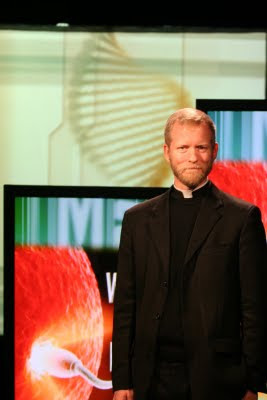 “Test Tube Babies” will air during the weeks of October 5th and October 19th on CatholicTV. Fr. Tad earned a Ph.D. in Neuroscience from Yale University and did post-doctoral research at Massachusetts General Hospital/Harvard Medical School. He subsequently studied in Rome where he did advanced studies in theology and in bioethics. The “Test Tube Babies” episode explores the moral problems with using in-vitro fertilization, and considers how Catholics should respect the beautiful, God-given designs of human sexuality so that new members of the human family always enter the world through the marital embrace of their parents. During the month of October, the weekly programming block “Body Matters” will include episodes about abortion, euthanasia and of course, in-vitro fertilization. Rev. 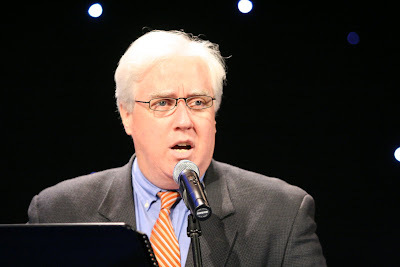 Roger J. Landry hosts eight episodes on the topic of the Theology of the Body produced by the North American Catholic Educational Programming Foundation. Father Landry is a Priest of the Diocese of Fall River, Massachusetts. 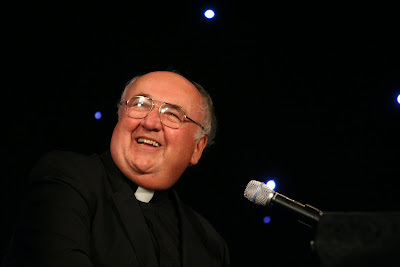 A popular speaker on the thought of Pope John Paul II and on apologetics, he is presently the pastor of St. Anthony Parish in New Bedford, MA and also the executive editor of The Anchor , the diocesan newspaper of Fall River. On Tuesday, September 29th, Sister Antoniana Maria, SV will appear on the CatholicTV talk show “This is the Day”. Among other topics, she will discuss the success of their vocations efforts which utilize “come and see” weekends and a significant amount of prayer for vocations. Based in Bronx, NY Sister Antoniana serves as the Vocations Director for the Sisters of Life. Before joining Sisters of Life, Sister Antoniana was a student and a pro-life activist. 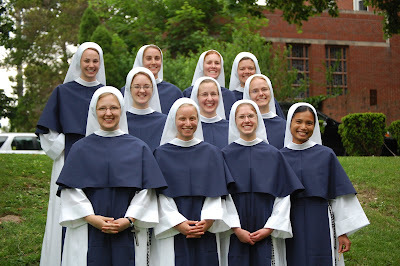 The religious order “Sisters of Life” follows the Augustinian rule, and was founded in 1991 by John Cardinal O'Connor, the late Archbishop of New York, after much prayer and a visit to the remains of the Dachau concentration camp. The order is both contemplative and active. Besides taking the traditional vows of poverty, chastity, and obedience, the sisters take a fourth vow to protect and enhance the sacredness of human life. The sisters live in community, centering their lives on the Eucharist. They have five convents in New York and a retreat house in Connecticut. Their work includes a pregnancy help Visitation Mission, a Holy Respite for pregnant women, the Stanton Library with pro-life resources, the Family Life/Respect Life Office in the Archdiocese of New York, and retreat opportunities for youth, married couples, families, and “Entering Canaan” retreats for men and women suffering after abortion. The abbreviation S.V. stands for Sorores Vitae, Latin for Sisters of Life. These photos were taken this afternoon. 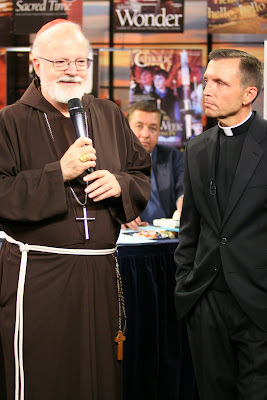 Watch the telethon now and rebroadcast again tonight at www.CatholicTV.com. 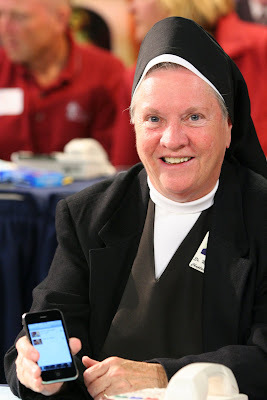 Click on "Watch CatholicTV Live"
Sister Brigid works at St. Patrick's Manor and is one of our faithful volunteers. This video was made this afternoon on the little flip camera. 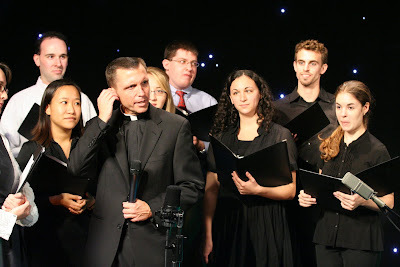 You can watch other musicians right now by visiting http://www.catholictv.com/. Click on "Watch CatholicTV Live". As of 9-26 3:41PM EST, the telethon is still on for another 5 hours and 19 minutes. The telethon will replay tonight. The Catholic Daughters of America staffing the phones at the CatholicTV 2009 Telethon! On Tuesday, September 29th, being different, finding an identity, tolerance, diversity, and friendship with God will be discussed on the CatholicTV talk show “This is the Day”. 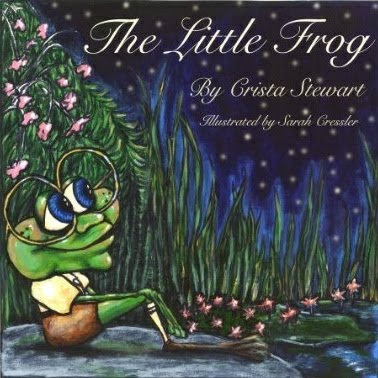 Crista Stewart, the author of the children’s book “The Little Frog”, will be interviewed on the show. Crista is a Christian author and a mother of 4 children. During her interview on “This is the Day”, Crista will discuss the many themes from her book “The Little Frog”. The story is about a frog who is born smaller than most frogs in his town, and whose skin is a different color than the other frogs. The frog also has only 3 legs. Ultimately, the frog gets teased by other frogs and asks God why he is different. God responds to the frog’s prayers by offering to be the frog’s friend. The ideas in the book teach children and adults alike about self-acceptance as creations of God. The cause for sainthood of Father Michael McGivney, a parish priest of the Archdiocese of Hartford and founder of the Knights of Columbus, took a further step forward recently, with the transmittal of a supplemental report on a reported miracle attributed to Father McGivney’s intercession. Starting tomorrow, CatholicTV will embark upon one of its most challenging annual missions: the CatholicTV telethon. The telethon is one of the most unique live television broadcasts in the nation. It is unique because it involves an almost unheard-of 12 hours of live television made possible through large amounts of coffee and dedication to the faith. 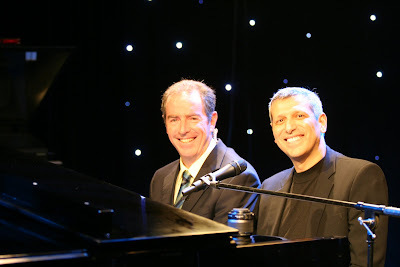 The annual telethon includes musical performances from artists from many areas of the U.S. including Texas, Louisiana, Oklahoma, and many others. 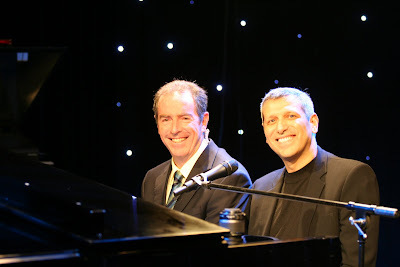 The performers include Vince Ambrosetti, Kitty Cleveland, and many others. 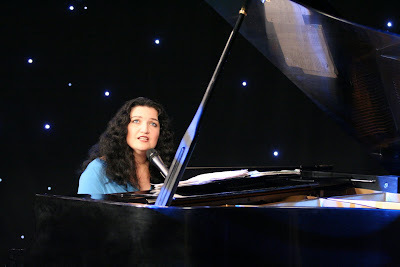 Kitty Cleveland is known for her impressive 3-octave range and her unique voice which has been compared to the rich sound of a cello. CatholicTV is the world’s first diocesan television station in the world and has been broadcasting for over 50 years. 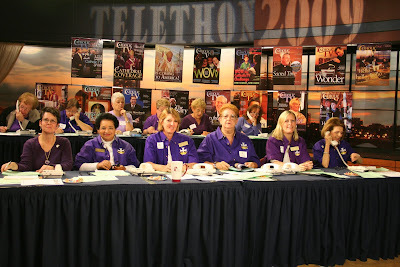 The telethon has been part of the CatholicTV tradition for nearly 2 decades. This year’s telethon will be the 18th* CatholicTV Telethon. 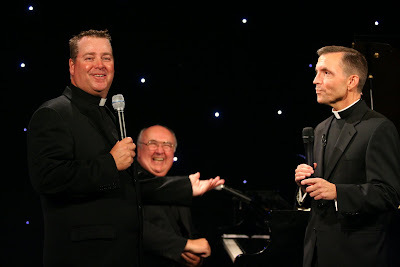 CatholicTV’s viewers have been called the “parish of the airwaves”. CatholicTV employees (especially Director Fr. Robert Reed) consider the viewers “parishioners”. 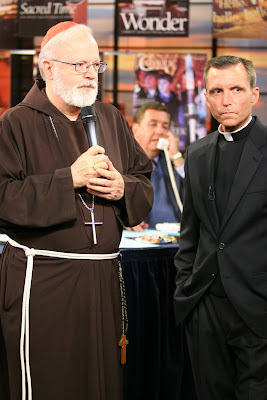 Because the live broadcast is so labor intensive, many CatholicTV viewers volunteer at the telethon by answering phones, and performing other duties. Traditionally, the Cardinal makes a regular appearance on the telethon. 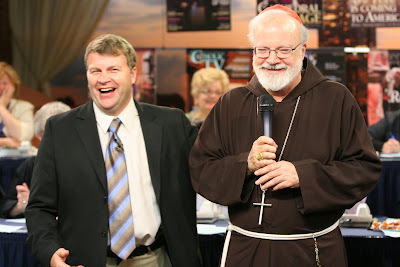 Last year, Cardinal Sean O’Malley visited the telethon although he wasn’t seen on television answering phones. 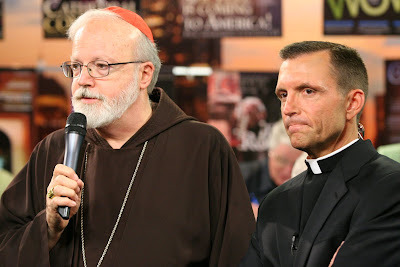 Last year, Cardinal Sean “participated at the telethon to greet the people and encourage them to make their donations.” He also posed for photos with a young and attractive singer named Heather Waxman. The photos captured the great difference between Cardinal Sean’s television wardrobe (he wears a brown Franciscan habit) and Heather’s. Heather wore a colorful dress and her blonde hair contrasted Cardinal Sean’s more “conservative” gray. *The Telethon was cancelled in 2001 out of respect for the tragedy on September 11th. Thanks to Myke for the information on the church where Blessed Seelos was baptized. Blessed Seelos was born Füssen,Bavaria and baptized at St. Mang Basilica on the day of his birth. CatholicTV will be airing a documentary about the life of Blessed Francis Xavier Seelos called the Tireless Intercessor beginning the week of October 5th in our Catholic Saints and Lay People block. His Holiness Pope John Paul II, proclaimed Father Seelos Blessed in St. Peter's Square on April 9th of the Solemn Jubilee Year 2000. The Seelos Shrine is located in New Orleans. Blessed Seelos Feast Day is October 5. How well do Catholics really know their priests? A new 10-minute video on the priesthood at CatholicTV.com gives Catholics a detailed look at priests and the priesthood. The video includes introductory remarks and appreciation of the priesthood by Cardinal Seán O’Malley, lay people and other priests as well. One priest from the video talks about how he once baptized a tiny newborn baby in the palm of his hand using a single drop of water. Another priest mentions how he once was seriously ill and how his parishioners welcomed him back warmly. This new video features priests talking about what sustains them, what challenges they face, and even about their hopes. 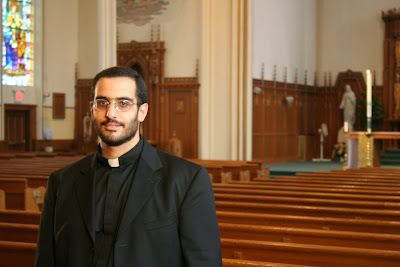 One newly-ordained priest in the video said “I hope when I approach my death, the Lord will tell me “come, my good and faithful servant, you have been faithful with what I entrusted to you, enter into your master’s joy”. Numerous Catholic artists will donate their time and talents in support of their faith at the annual CatholicTV telethon. These musicians include Vince Ambrosetti, who was invited to perform at Blessed Mother Teresa of Calcutta’s funeral Mass. 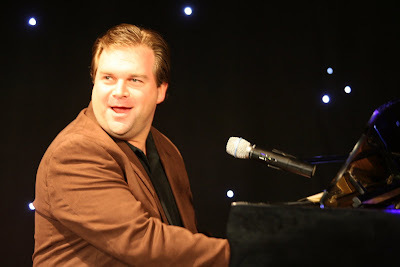 Also to perform will be Michael John Poirier, who has produced 10 CD’s. All musicians will perform on a volunteer basis. CatholicTV is a non-profit corporation. 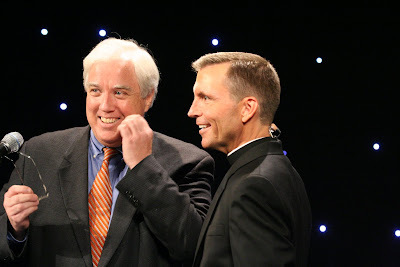 The CatholicTV telethon is one of the most unique live television broadcasts in the nation. It is unique because it involves an almost unheard-of 12 hours of live television made possible through large amounts of coffee and dedication to the faith. The telethon will air on September 25th and 26th from 9AM to 9PM each day. Some musicians perform live while other performances are previously recorded. 2:50pm STANN- band of former members of St. Ann University parish performing a wide variety of musical stylings with a variety of guest soloists. 7:05 Anne DiSanto- credits include "Year Of Hope" selected by Pope John Paul II as a Papal anthem, "Flame Of Liberty", a 9-11 tribute used for Veteran's fundraising efforts. 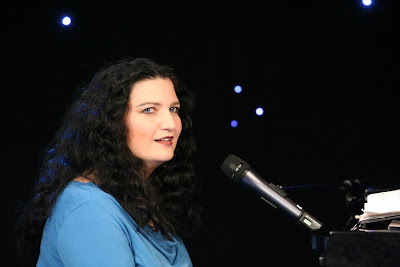 10:50 am Susan Glancy- singer, flutist and vocal coach. 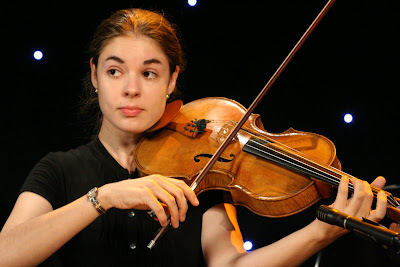 She has been trained at the Boston conservatory. 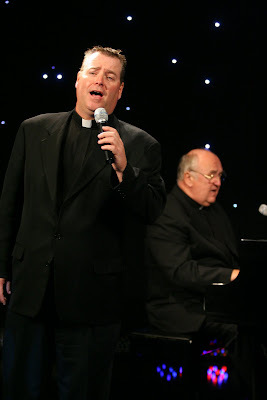 12:30pm Terry Donilon- currently sings in a choral group in Rhode Island. He brings his powerful and beautiful voice to the Telethon stage once again. 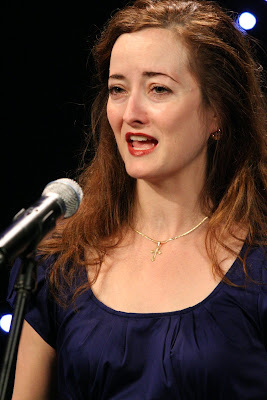 1:10pm Diana Doyle- a cantor at the Cathedral of the Holy Cross. 3pm Fr. Hickey and Fr. Rouse- Host and co-host of the very popular series Going my Way with Fr. Chris Hickey. 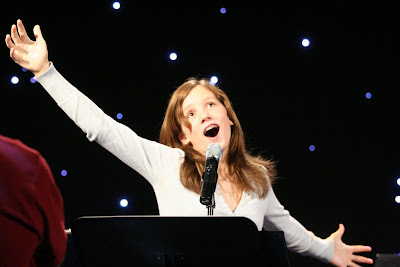 4:40pm Heather Waxman- will be singing with a children’s choir as well as performing some popular selections. 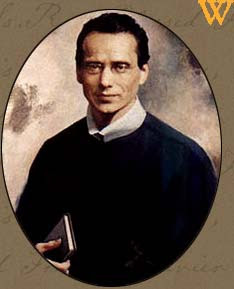 On Tuesday, September 15th, the canonization process of Blessed Francis Xavier Seelos, C.Ss.R. (Blessed Francis) will be discussed on the CatholicTV talk show “This is the Day”. Although Blessed Francis was born in Fussen, Bavaria, Germany, he spent the 2nd half of his life (and his entire life as a priest) in the United States ministering to American Catholics. He ministered to Catholics in Pennsylvania, Connecticut, Maryland, New Orleans, and in other parts of the nation as well. Fr. Byron Miller, C.Ss.R (Fr. Miller) will explain the canonization process of Blessed Francis on “This is the Day”. Fr. 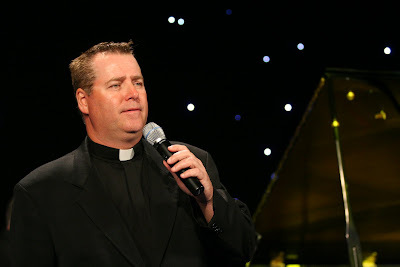 Miller is a Redemptorist priest from New Orleans, Louisiana and is also the Executive Director of the National Seelos Shrine and Seelos Center in New Orleans. His Holiness Pope John Paul II, proclaimed Father Seelos Blessed in St. Peter's Square on April 9th of the Solemn Jubilee Year 2000. His Feast Day is October 5. CatholicTV will air the documentary Tireless Intercessor on his feast day. The documentary chronicles his heroic and miraculous life. Father Seelos possessed great mystical gifts due to his intense prayer life. His ability to minister with cheerful holiness made him a spiritual father to tens of thousands. Despite his early death, so profound was his missionary zeal that sickness, persecution, and even the upheaval caused by the Civil War, could not stop him. Today, we celebrate the exaltation of the cross. Christians have many customs and rituals regarding the cross such as the sign of the cross or wearing cross jewelry. On Good Friday we honor and recognize the sacrifice made on the cross, today's feast expresses the joy and peace that the cross brings to each of us. 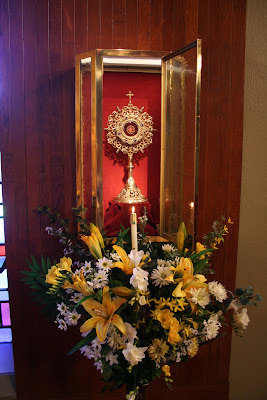 CatholicTV is blessed to have a relic of the True Cross in our chapel. The Roman Emperor Constantine's mother Helena went to Israel to find holy places which were meaningiful to the life, ministry and death of Jesus. She found what she believed, and is confirmed by some archaeologists as the site the Crucifixion and of the Burial and she arranged to have the Church of the Holy Sepulchre erected. The building was dedicated on September 14 in the year 335. 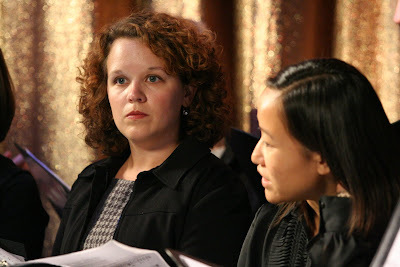 CatholicTV has just begun to air a new series called "Where God Weeps" as a part of the new fall season. This series is new to CatholicTV and shows the plights and struggles of suffering Catholics who are victims of political, financial, and social suffering. The series follows the work of an organization called Aid to the Church in Need. Aid to the Church in Need works with the impoverished in 145 countries around the globe. "Where God Weeps" shows footage of missionary work in Haiti, Kenya, the U.S., Asia, Lebanon, and many other places as well. “Where God Weeps” aims to inform and draws on experts, including bishops, priests, missionaries, and lay people, who testify to the suffering Church. The aim of the show is to awaken the awareness of Catholic viewers to the situation of the Church in need worldwide. “Where God Weeps” has already aired around the globe including Australia. What is now Aid to the Church in Need was founded by Dutch Catholic priest Father Werenfried van Straaten at Christmas 1947 to aid German expellees and refugees fled from or expelled from Eastern Europe in the wake of the Second World War. Many of them were Catholic. As an international Catholic charity under the guidance of the Holy Father, Aid to the Church in Need’s mission is to help suffering and persecuted faithful worldwide. On Friday, September 11th, Debbie Pryor from Our Sorrowful Mother’s Ministry (OSMM) in Vandalia, IL will discuss among other things, their healing ministry which is located about an hour from St. Louis, MO on the CatholicTV talk show “This is the Day”. Mr. Chuck Neff of Salt River Productions recently filmed a retreat at Our Sorrowful Mother’s Ministry (OSMM) in order to create a DVD for a documentary on the ministry. OSMM focuses on healing and reconciliation ministry and is home to weekly retreats and an annual retreat which regularly features nationally-known Catholic speakers. The feast of Our Lady of Sorrows is honored on September 15th. Also on the show, will be Carolyn Black and Marie Fusaro Davis. They will be talking about this year’s upcoming “Gather Us In” Women’s Conference in Worcester, MA which will feature a keynote address by Rwandan Holocaust survivor Immaculée Ilibagiza. 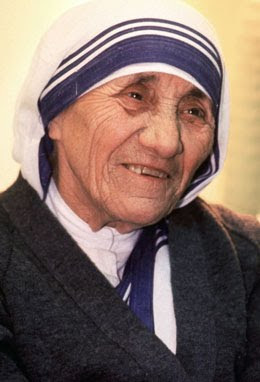 The theme for the 2009 conference is: "The Triumph of Forgiveness: Sharing Stories of Compassion". Gather Us In is the pioneering women’s conference in New England. The conference will conclude with Mass celebrated by Most Rev. Robert J. McManus, D.D., S.T.D., Bishop of the Diocese of Worcester. Catholics can now get the latest Catholic news online at CatholicTV.com. CatholicTV’s “Newsbreak” is hosted by Kevin Nelson who researches and reports on Catholic news from all over the nation and the world. Videos are posted at CatholicTV.com each week and include video footage from Rome Reports- a news agency which specializes in coverage of the Pope and the Vatican. The most recently posted “Newsbreak” clip discusses the violent persecution of Christians in Pakistan and features video footage from Pakistan and an interview with Fr. Pascal Paulus, a Dominican priest familiar with the situation. News segments at CatholicTV.com focus on anything from violence in the Middle East, to charitable work, or even abortion. In its news pieces, CatholicTV also keeps viewers up to date on various calls to action from Catholic Bishops and the Pope through its privileged relationship with Centro Vaticano Television (CTV). CatholicTV receives video footage of Vatican and Papal events for Catholic Newsbreak from CTV. Catholic Newsbreak videos can be accessed now free of charge or obligation by following this link: http://www.catholictv.com/shows/default.aspx?seriesID=52. CatholicTV is a non-profit corporation. 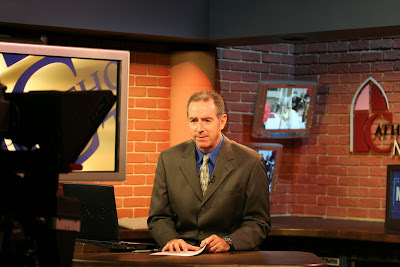 News at CatholicTV is hosted by Senior Producer Kevin Nelson, a 13-year veteran of CatholicTV. Mr. Nelson reports on news from various sources including, but not limited to, Rome Reports- an international news agency that reports on news from the Vatican, and Catholic News Service, which has reported on Catholic news since 1920. During the weekend of September 11-12, CatholicTV will air the Council of Major Superiors of Women Religious (CMSWR) two-day Eucharistic Congress from the Basilica of the National Shrine of the Immaculate Conception in Washington, D.C. The Eucharistic Congress will include talks by Cardinal Justin Rigali, Episcopal Liaison for the CMSWR and Cardinal Seán O’Malley, Chair of the USCCB Committee for Clergy, Consecrated Life and Vocations, and Mother Mary Quentin Sheridan, Chairperson of Board of Council of Major Superiors of Women Religious and many other featured speakers and homilists. The two-day event will consist of: celebration of the Liturgy, conferences and catechesis, Eucharistic adoration and procession, and fireworks. There is no charge for the Eucharistic Congress. The theme of this year’s Congress is “Sacrifice of Enduring Love”. The congress will explore three vocations in depth — the Priesthood, Religious Life, and Marriage. In addition to other displays, a piece of the actual tilma of St. Juan Diego will be exhibited. 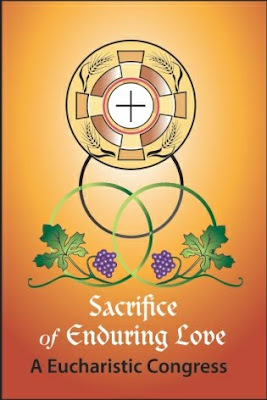 The Eucharistic Congress will air at CatholicTV.com and on CatholicTV on September 11th starting at 8PM (EST). The live broadcast on September 12th will begin at 1:30PM and will last until 7PM. Welcome by Mother Mary Quentin Sheridan, R.S.M. Greeting by Most Reverend Donald Wuerl, Archbishop of Washington, D.C. Mother Ann Marie Karlovic, O.P. CatholicTV has filmed several programs featuring the Basilica of the National Shrine of the Immaculate Conception including “Catholic Destinations” which shows extensive footage of the Basilica including commentary. CatholicTV also filmed “Gospel in Mosaic” which features Washington Archbishop Donald Wuerl teaching the Gospel using the Basilica as a teaching tool. 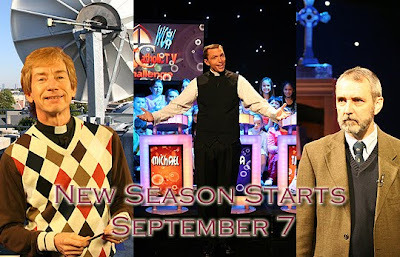 On Monday, September 7th, CatholicTV will launch its fall season of programming. New shows include the CatholicTV reality series “House+Home” and “The Prophets and You”. In addition, a new show produced by and for Chinese Catholics will premiere along with another show which gives viewers a look at the social justice work of the Church. Both “Wow: The CatholicTV Challenge” and “We’ve Got to Talk” shows have new seasons which will air starting in September. Filming “Wow” involved 2 straight weeks of packing hundreds of students into the CatholicTV studios in Watertown, MA. The contestants are 3rd graders who answer a question based on show theme. The new season of “Wow” will include important themes such as the Roman Pontiff, which will help Catholics of all ages better understand the Pope and his role in the Church. The set for WOW consists of a dramatic, star-studded backdrop, platforms upon which the audience sit, and is drenched in deep blue light. Three 64-inch flat-panel monitors are suspended over the audience, which convey some of the show’s video effects. A new “series” of special programs, documentaries, and short films focusing on Catholic moral issues called “Body Matters” will also make its premier in September. “Body Matters” will begin in September with teaching on Pope John Paul II’s Theology of the Body taught by Fr. Roger Landry, a Harvard-educated diocesan priest of Fall River, Massachusetts. Also included in Body Matters is a special by Father Tad Pacholczyk , the Director of Education for the National Catholic Bioethics Center in Philadelphia, on the Church’s teaching on In-vitro fertilization(IVF). “Fountain of Love and Life” is a new series made by Chinese Catholics. The series is mostly in Cantonese with Chinese and English subtitles. The new show will be one of the most dynamic on CatholicTV, with episodes about prison ministry, vocations, service to the poor, and even Chinese singers who give their talents to the Lord. The new series “Where God Weeps” shows Catholic missionaries working with the poor all over the world including Haiti, Kenya, the U.S., Asia, Lebanon, and many other places as well. This series is produced by the Catholic international agency: Aid to the Church in Need. During the week of September 7th-13th, CatholicTV will air a unique documentary named “Callings” which explores vocations. Although most people think of priests and nuns when they hear the word “vocation”, “Callings” gives unique insight into the way all types of people from professional athletes to dancers, to priests have a unique opportunity to devote their lives and their careers to God. “Callings” features Mike Sweeney, 5-time All-Star of the Kansas City Royals and 9 other “average” people who take their vocations quite seriously. Sweeney once said, “"I know it's a gift from God that I can play baseball, I play to please God." “Callings” looks at the lives of ten individuals from a range of occupations whose faith has informed their professional choices. 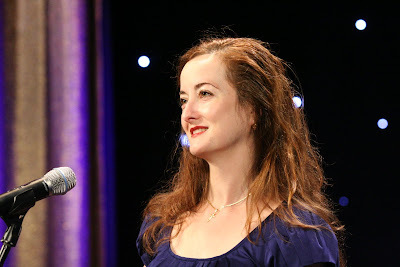 Dancer Francie Huber cites both the Christmas song "The Little Drummer Boy" and Pope John Paul II's 1999 letter to artists as sources of inspiration, encouraging her, respectively, to make a gift to the Lord of her artistry and to imitate God's life-giving creativity. “Callings” will air during the week of September 7th-13th on CatholicTV and at CatholicTV.com at the following times (Eastern): Monday-2PM; Tuesday-10:30PM; Wednesday-4PM; Thursday-6:30AM; Friday-9:30PM; Saturday-10:30AM; Sunday-2AM. On Friday, September 4th, Sister Bridget Haase, O.S.U. 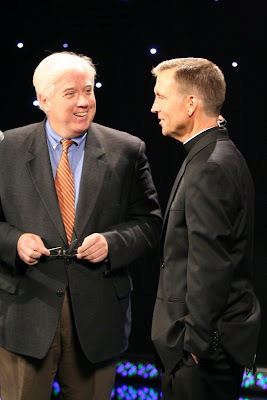 will appear in an interview on the CatholicTV talk show “This is the Day”. Sr. Bridget is the author of the book “Generous Faith”. The book shows readers how to be attentive and ways to live in the moment and experience God’s presence. The book conveys its theme through a series of true stories from Sr. Bridget’s life. Sister Bridget Haase, O.S.U., is a member of the Ursuline Sisters, and holds an M.A. in religious studies. She has ministered in Appalachia, Mexico, and Africa. She presently serves as coordinator of the spirituality program at The Boston Home, a long-term care facility for people with multiple sclerosis and other degenerative neurological diseases. She gives parish missions, days of reflection, and inspirational talks throughout the United States. She has written two other books and published many articles. She sits on the board of My Sister’s Keeper, a faith-based justice/peace organization to work for the education of women and girls in southern Sudan. Sister Bridget is a frequent guest on Boston, Chicago/Milwaukee, Cincinnati, and Pittsburgh radio stations. Her website is www.wisdomwonder.com. Sister Bridget may be seen on Friday, September 4th live at 10:30AM (EST) on CatholicTV where available (rebroadcast at 8PM). The show will also be streamed simultaneously at www.CatholicTV.com and will be available on the site’s archives starting Friday night. All videos at the website are viewable in full-screen. Paste this URL into your browser in order to access the “This is the Day” video archives. http://www.CatholicTV.org/shows/default.aspx?seriesID=72. The show will also be available on iTunes free of charge. Starting in September, CatholicTV will air a drama series new to CatholicTV. The series is called “7th Street Theater”. The new series is the first contemporary drama series that CatholicTV has aired in years. “7th St Theater” depicts the lives and drama of 5 Christian actors who perform a weekly stage show for their community. 7th Street Theater features an extremely talented cast which includes Josh Gaffga, Hugh McLean, Johanna Jowett, Stacey J. Aswad, Shane Willimon, and Jack Kelly in the lead roles. The series follows the lives of the characters and the many different issues they deal with as they work together. “I'm excited about the uncompromising message," said actor Josh Gaffga. "The gospel is presented and a strong story is told that has substance to it.” Josh played a main role in a previous Dave Christiano film, “Late One Night”. 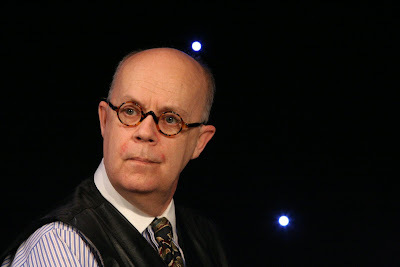 Actor Hugh McLean adds, “Once a person starts watching and gets into the content of the show, there is some life-changing truth. You can watch a Christian program, and not feel preached at, but learn some life lessons and be entertained at the same time.” Hugh also worked in “Late One Night” and was the first actor cast by Christiano for the series. 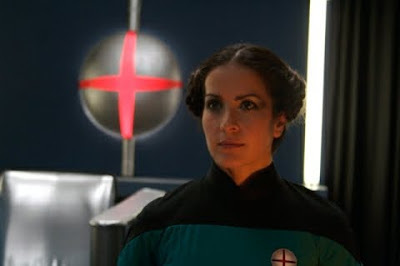 The series began production in 2004 and filming was completed in July of 2009. The series has a total of three seasons and production has concluded but there are over 60 inspiring episodes to enjoy. “7th Street Theater” is produced by Dave Christiano Films. The Christiano brothers have been making films for over 20 years. “7th Street Theater” will make its CatholicTV debut in September and will air every weekday (Monday through Friday) at 1PM and again at 9PM (Eastern).